Is your New Years Resolution to sew down your fabric stash? Do you ever go on a fabric buying binge? Do you consider yourself a social or recreational fabric collector? Is too much fabric never enough? Do you sometimes feel a little guilty about your stash? Has a family member or close friend ever expressed concern or complained about the size of your stash? Have you sometimes failed to keep promises you’ve made to yourself about controlling or cutting down on your stash? If you answered yes to a majority of the questions above you may suffer from SABLE Syndrome. In 2019, we want to help you sew down that stash! 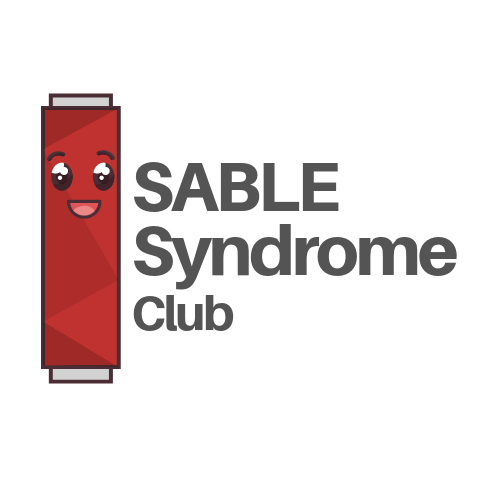 SABLE Syndrome Club will meet once a month and each month you'll receive a free scrappy pattern. We'll have different fun and games throughout the year. You never know what to expect each month. Project Swaps: Have you ever wanted to participate in a swap? We'll have a couple throughout the year for club members. We'll give you a theme and you'll get to make a project for another club member. Fabric Swaps: Trade some of your stash for new exciting fabrics! Show & Tell: What better way to motivate yourself to finish projects then by sharing the finished results with others! The one time club fee is $50. For signing up, you'll receive the Patchwork Pocket Planner to help you get organized. There is a place to map out all the projects you want to get done for the year. There's also space to keep swatches of some of your stash. Plus it's small enough to throw in your purse! Come for the fun & games at 11 am. If you'd like to bring your sewing machine, you can stay and sew with club members all day. The club will run January-December 2019.